Wurmbea punctata, syn. 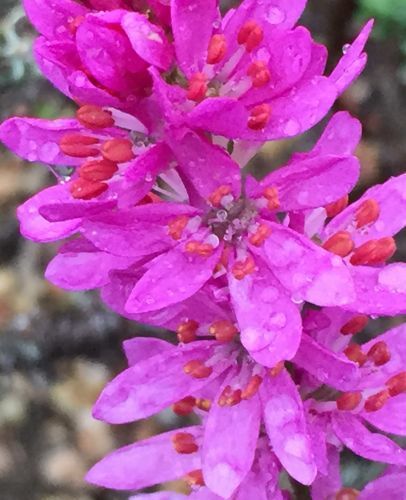 Onixotis punctata, is endemic to South Africa with stunning purple to maroon flowers. The plant grows 10 - 20 cm high.